Case 1: Be cautious when disimpacting patients with severe constipation. Prior to the procedure, take a thorough history looking for risk of bleeding. Michelle discussed a case of severe bleeding following disimpaction because pt’s INR was very prolonged. This fact was not known prior to disimpaction. DenOuden had also discussed a case several months ago in which a patient became very bradycardic due to disimpaction. Case 2. Elderly patient with shoulder dislocation. Adequate sedation was obtained with propofol, but shoulder could not be reduced. Second attempt with etomidate was successful. No one present had a solid explanation for why etomidate would be more effective than propofol other than possibly pt was more relaxed. Be prepared to alter your approach following failure of first attempt. Case 3. Trauma patient sedated with ketafol for hip dislocation. Pt also received dilaudid prior to the procedure. Pt had prolonged apnea during procedure. It turns out pt had liver laceration and was not able to metabolize propofol due to liver dysfunction. Attending discussion of why this pt had prolonged effects of ketofol: Liver dysfunction due to trauma or genetic difference in metabolism of opioids and propofol. Bottom line: get history looking for liver or renal dysfunction prior to administering sedation. Case 4. Senior with fever and altered mental status. CXR shows right side infiltrate. Treatment initiated in the ED for pneumonia/sepsis. Attending who received patient in sign out ordered a head CT (just to be thorough). Subdural hematoma was identified. You have to consider all possible causes of altered mental status. In retrospect, pt had some bruising of shoulder indicating a fall and pt was on subQ heparin. Faculty comments: No one routinely gets head CT’s in altered patients who most likely have sepsis. However if there are signs of trauma and/or the patient is receiving anticoagulation, CT head should at least be considered. Case 5. 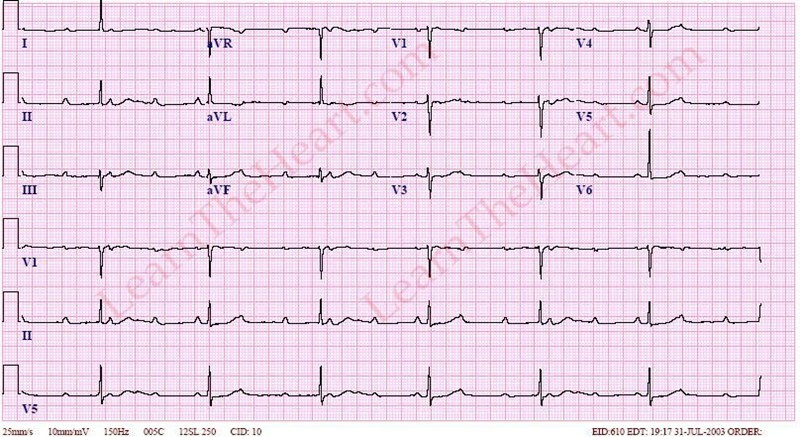 46 yo male with chest pain and equivocal/concerning EKG (could be STEMI or Pericarditis). Patient had risk factors for CAD. EKG showed some evolution during patient’s ED stay. Bedside echo was unremarkable. Code STEMI was called and patient was cathed. Pt had clean coronaries. DX was pericarditis. Clues favoring STEMI are ST depression, ST elevation lead 3>lead 2, Convex up ST elevation, new Q waves. Clues favoring Pericarditis: PR depression, TP depression (Spodick’s sign) Amal Mattou at AAEM when discussing this topic felt PR depression was unreliable. Kelly comment: You did the right thing. Patients with evolving EKG’s should always go to the Cath lab. Elise comment: Bedside echo was a great idea. If you see a pericardial effusion (pericarditis) or wall motion abnormality (STEMI) you have the diagnosis. Case 6. 29yo female with sore throat and ear pain. Treated with Bicillin and discharged. Next day came back with bilat peritonsillar abscesses. Pt had bedside drainage by ENT and received IV antibiotics. Make sure you inform patients to return if their throat is worsening . Ear pain with sore throat may be a clue to early peritonsillar abscess. Girzadas comment: There is no data showing that treating strep pharyngitis prevents peritonsillar abscess. When you care for a patient with straightforward pharyngitis, be sure to document in your chart that there is no peritonsillar abscess present. Case 7. Cardiac arrest. Pt had enlarged RV on bedside echo. Crash EPI drip: 1 mg of EPI in a liter of NS =1mcg/ml. Put on a pump and start at 10ml/min and titrate up. TPA was given for suspected massive PE. Pt did not survive. Case 8. 65 yo female with SOB. Hypoxic & in extremis. Exam showed Rales and lower extremity edema. Bedside U/S shows B lines in lungs. Diagnosis=CHF. Pt was treated with BiPap but continued to worsen. Michelle had to figure out that the default FIO2 on bipap at that hospital was 21% not 100%. Respiratory tech had placed FIO2 at 21% the default level. Once the FIO2 was increased to 100% pt did well. Michelle and Kelly comment: In community ED’s, nurses won’t necessarily notify you of the arrival of a sick patient. You need to have global awareness of the room and ask the nurses if any new patient is sick. Respiratory therapist may also not be attuned to the needs of severely ill patients. Case 9. 70yo male with Hx of cancer and complaint of pleuritic chest pain and SOB. Pt planned to have VQ scan to eval for PE and was signed out to Michelle. CXR was reviewed and showed large pleural effusion. Bedside echo showed pericardial fluid as well. Pt was transferred out for pericardial window. Be careful with signouts. Re-eval the patients if things don’t fit or they change. Be careful with cancer patients and consider all possible complications of cancer. Pleuritic chest pain could be PE but alternatively it can be pleural effusion or pericardial effusion. Case 10. Pt with ludwig’s angina. Michelle felt pt should be intubated. Anesthesia/ENT/Pulmonology consultants all evaluated the patient in ED and recommended against intubation. Pt was treated with IV decadron and IV antibiotics. Pt remained stable over the next 3 days and was never tubed. Have a clear plan in your head for the difficult airway. Get help from consultants but also remember that you are the ED patient’s doctor and act on your instincts. Christine comment: Most of the time infectious processes in the neck and submandibular area in which you are worried about the airway don’t obstruct. You can reasonably watch them with aggressive medical management. Case 1. 67 yo male with SOB EKG shows Sinus tach with RBBB. Pt had a seizure and monitor shows V-Fib. Pt defibrillated and gets ROSC. Pt had hx of CAD and COPD and was noted to be wheezing s/p defibrillation. Repeat EKG does not show STEMI. 1hr later patient arrests again. Defibrillated and gets ROSC. Pt is alert but is electively intubated. Pt not given TH because he is alert and communicative. Repeat EKG shows anterior STEMI. Harwood comment: This patient should go to the Cath Lab. There is evidence that patients with V-Fib arrest with or without STEMI criteria have improved outcomes if they go to the cath lab. Even if there is no STEMI, post arrest patients do better if they go to the cath lab. It is not known why (more aggressive supportive care including balloon pumps?). Recent data supports taking all post-arrest patients to the Cath Lab whether or not they have a STEMI. Early cath following arrest has higher survival. Absence of STEMI on EKG following arrest does not exclude coronary occlusion. Elise comment: The EP has to advocate for their patients and get them to the Cath Lab even if they don’t have STEMI post-arrest. There was a discussion of the high mortality rate of post arrest patients who go to the Cath Lab and the problem of public reporting of Cath Lab data. There was discussion of selecting patients for cath post-arrest based on co-morbidities. Visiting cardiologist at conference mentioned that patients with out of hospital arrest and prolonged down time, poor or no CPR have a 100% mortality in our Hospital. So they will not take those patients to the Cath Lab. Bottom line: Better outcomes are expected for patients with shorter down time, immediate high-quality CPR, and less co-morbidities. Case 2. 53yo male with chest pain. Pre-Hospital EKG shows antero-lat ST elevation and high lateral minimal ST depression. EKG in ED is less worrisome and repeat EKG’s showed no evolution. Pt was managed medically for first 2 hours. Patient had mild elevation of troponin. Was cathed next day. There was a discussion of STEMI criteria and specifically LBBB. Elise comment: If a patient has an AMI causing a new LBBB they should look like crap. If enough myocardium is damaged to cause a LBBB the patient should have hypotension or signs of shock or arrythmias. Atypical chest pain or mild chest pain with LBBB is not a STEMI based on the 2013 AHA guidelines. Visiting cardiologist agreed. Harwood comment: If you are working in a Community ED and you can transfer a STEMI patient to a Referral Center and they can be on the table with balloon up within two hours, don’t start TPA, transfer them. This is the new 2013 AHA recommendation. Alternating current can cause tetany. Because our forearm flexor muscles are stronger than the extensor muscles the victim can’t let go of the electrical source due to the electrical current. Respiratory arrest can be due to thoracic tetany, CNS injury, or cardiac arrest. Check for rhabdomyolysis and compartment syndrome in patients with electrical burns. Relatively minor appearing injuries can have significant muscle injury underlying. Get EKG on all patients. Consider CPK and other lab testing based on severity of injury, loc, neuro symptoms, cardiac symptoms, pain and signs of burns. Kids can get cord bite injuries. These can develop oral commissure burns that can have delayed labial artery bleeding when eschar falls off. Discussion among attendings: no one has seen severe bleeding from such an injury. Tasers injuries are rapid, low amp DC shocks. No need for EKG or other work up related to the shock. Only deaths were related to concomitant PCP or cocaine use. Patients can be safely dc’d after dart removal and evaluation for other injuries. There can be secondary traumatic injuries due to falling after being tased. Case 1. HSP Perform skin exam, recognize HSP, control pain, advise surgeon against surgery. Be sure to undress the patient. HSP is a small vessel vasculitis. Immune mediated. 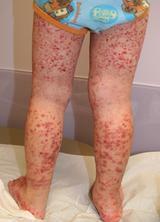 Classic rash is purpuric on lower extremities/buttocks. Patients can have collickly abdominal pain or GI bleeding. Hematuria and arthritis are common. Case 2. 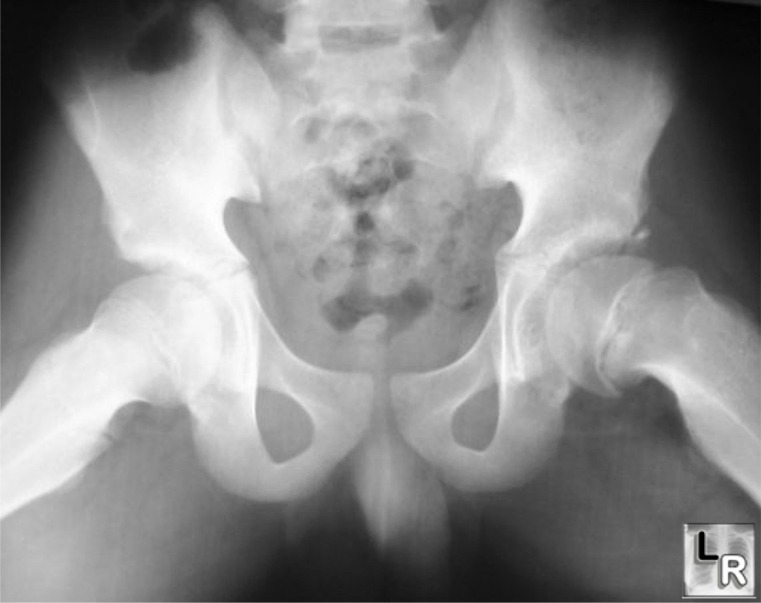 SCFE Identify slipped capital femoral epiphysis. Manage pain, make patient non-weight bearing, consult ortho for surgery. Main complication is avascular necrosis. Case 3. Sickle Cell disease in a pediatric patient with pain crisis and cholecystitis/cholangitis. Need to manage pain crisis, give IV zosyn or unasyn, consult surgery for Cholecystectomy. Case 6. Thyrotoxicosis that developed secondary to untreated hyperthyroidism and pneumonia. Treat with PTU (block synthesis), SSKI (block release), propranolol (block peripheral effects), decadron (block T4 conversion). Can substitute gastrograffen for SSKI. Give antibiotics for pneumonia. Dexamethasone is the only med that improves long term outcome in thyrotoxicosis. Avoid ASA, amiodarone, and IV contrast. Harwood comment: Propranolol is the beta-blocker that best crosses the blood/brain barrier and improves CNS symptoms. Case 7. WPW with AFIB and aberrant conduction Attempt procainamide initially and when patient worsens cardiovert. Admit for ablation. Dangerous actions for wide complex, irregular rhythm is adenosine, beta-blocker, calcium channel blockers, digoxin. Anything that slows AV conduction will increase conduction through the bypass tract and worsen clinic condition. Case 8. 3rd degree heart block due to Lyme disease with carditis Patient needs attempt at transcutaneous pacing and when that fails proceed to transvenous pacing. Patient required IV antibiotics (Rocephin, Cefotaxme, Pen G, IV doxy should work as well if patient has severe PCN allergy) PO doxycycline is not adequate for Lyme Carditis. Be sure to provide sedation/analgesia prior to transcutaneous pacing. Heart block will resolve with IV antibiotics. 3rd degree block has a wide QRS and there is no consistant PR relationship. There is AV dissociation. I am sorry but I missed the majority of this excellent presentation. Storage of amputated digit: Wrap body part in saline moistened gauze. Place body part & guaze in plastic bag and then place plastic bag on ice. Wound prep prior to laceration repair: do not shave surrounding hair. Ok to clip hair or mat hair down away from wound with antibiotic ointment. Tissue adhesive has similar cosmetic outcome to sutures. Saddle nose deformity is the complication of untreated nasal septal hematoma. Christine comment: This is bread and butter emergency medicine. You must read this chapter!